Home / Winger News / Posts / Model releases / All new Elantra offers Hyundai’s best! All new Elantra offers Hyundai’s best! The all new Hyundai Elantra evolves the company’s global best-seller, drawing together a comprehensive array of leading technologies designed to work with the driver and enhance the enjoyment, comfort, and safety of all occupants. 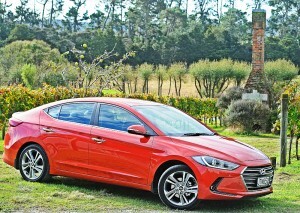 Hyundai New Zealand General Manager Andy Sinclair says the Elantra, launched May 2016, offers customers who prefer a sedan a sleek and stylish option that features excellent driving dynamics and refinement. “Because the Kiwi lifestyle is so diverse, we tend to use our vehicles in many more ways – so it’s always been important for us to offer the full range of cars and SUVs. The Elantra is an exciting evolution of our worldwide best-seller, a car that is well suited to city driving and the open road,” he said. From extensive use of high-strength steels and advanced bonding systems that increase rigidity to electronic features that enhance strength, safety and comfort for all occupants, the sixth generation Elantra offers class-leading refinement and driving dynamics. Two models are launched in New Zealand, the 2.0 litre A6 and the 2.0 litre Elite A6. Both feature a new MPI 2.0-litre engine with Continuously Variable Valve Timing (CVVT) producing 112 kW (150 bhp) and192 Nm of torque. The engine is coupled to Hyundai’s six-speed automatic transmission to deliver combined fuel economy figures of 7.2 litres per 100 km*. The new car’s exterior styling draws the Elantra into the new Hyundai Fluidic Sculpture 2.0 design language but acknowledges the outgoing car. Featuring a new version of the classic hexagonal chrome grille, evolving the flowing, sculpted lines and presenting a low and wide nose profile, the Elantra stands out with integrated LED ‘fog’ lights, LED daylight running lights that emphasise the new sculpted wrap-around headlight/indicator clusters (Elite versions) and other subtle features including LED indicators in the housings of the auto-folding side mirrors. Ducts in the front bumper direct air into the front wheel wells to smooth out airflow down each side of the car. “We have seen the evolution of styling on the exterior and this continues inside the car. In so many ways, the Elantra benefits from design thinking, technology, and innovation that have arrived in recently launched models such as the Tucson, and also from the Genesis premium/luxury brand. Inside and out, in every respect, this is a car for right now and well into the future,” said Mr. Sinclair. Inside the Elantra there are high-quality leather seats including a ten-way adjustable power seat for the driver (Elite models), 60-40 split rear seat with fold-out middle armrest, steering wheel controls for phone, audio settings, on-board computer displays and functions and cruise control. Centred in the instrument area is a new version of Hyundai’s ‘Supervision Cluster’ with a 3.5-inch liquid crystal display which gives access to a wide range of driver-selectable information including service intervals, distance to empty, fuel economy and more. In the centre of the dash is a 7-inch touchscreen that gives access to more detailed settings and options and also doubles as the display for the reversing camera. Close at hand to the right of the main screen is the car’s engine start button. Thanks to the use of proximity technology the car’s key can be kept in the driver’s pocket or simply placed in one of the Elantra’s console storage areas. Below the display screen is the control panel for the dual climate-control air conditioning (Elite models) and in the storage area are USB charger ports and a cable port for hard-connecting an audio or other device. The Elantra’s multimedia audio system functions across the car’s Bluetooth phone connection and makes a range of music and entertainment options available to occupants. Hyundai was one of the first to introduce Apple’s Car Play phone/device integration technology in New Zealand with the acclaimed Tucson in late 2015. The all-new Elantra features Apple’s system. For non-Apple users, the similar Android Auto technology will be available later in 2016. “By making the user’s phone so accessible in the car, the technology allows selection of the owner’s favourite phone-based ‘apps’, music playlists and their preferred GPS navigation system and Siri, Apple’s own voice-command/information system. That means occupants are using their preferred device to access information, entertainment and more rather than having to re-learn ways to access these features,” said Mr. Sinclair. Safety is always foremost for Hyundai. The Elantra offers owners a package of smart safety technologies built around a reinforced chassis that includes six airbags protecting all occupants; reversing camera and park warning system (Elite models only); Vehicle Stability Management (VSM) with Electronic Stability Control (ESC); and new Blind Spot Detection (BSD). Auto rain sensors activate the windscreen wipers, and a driver-selectable dusk-sensing feature switches on the headlights in low light situations. 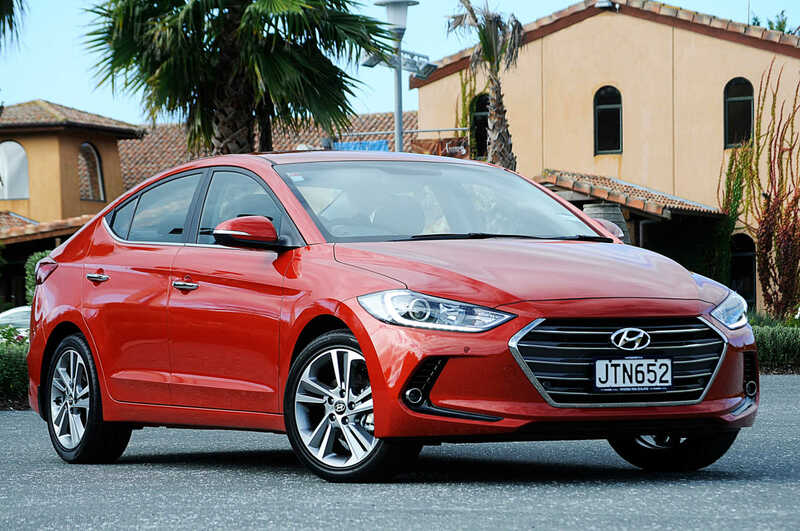 The 2016 Hyundai Elantra A6 is available from $35,990; the Elite from $39,990. “We have been able to present this very advanced car with an excellent specification without increasing the price, which makes it a very appealing prospect for customers looking for a refined, modern drive which also offers excellent value,” said Mr Sinclair. * Fuel consumption figures are based on ADR 81/02 tests and factory information. These figures are provided to assist with comparing the fuel consumption of the Elantra range with other vehicles. The actual fuel consumption will depend on many factors, including driving habits, prevailing conditions and the vehicle’s equipment, condition, and use.